Thank you, please help us get the word out by sharing this on facebook. 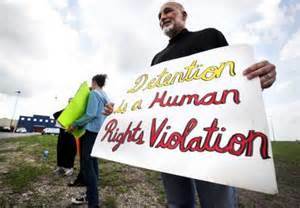 No child should ever be placed in a detention center! Noted, tweeted, shared, and signed. It would appear they would be able to be here because their lives were threatened and if they go back they will be killed.They should be given asylum. I'm not on FB and this makes no sense, that the Father and some of the children are released yet the others are not. If a families story clears, then the families story clears....that should be all of the family. Signed, thanks Nancy for the Zip Codes! Signed - such an awful situation. Done. That's the situation in El Salvador and many other Central American countries. The gangs are very powerful and the police are actually either afraid of them or are on the take.